Blink… and, yes, the summer has almost gone, and the memories of those long days when it doesn’t get dark until 10pm are fading like the evening light. Still, there are hopefully some balmy and settled days to come, and September seems to have the pick of them. So let’s not write off the cruising season yet, and instead look forward to the delights that autumn has to offer! 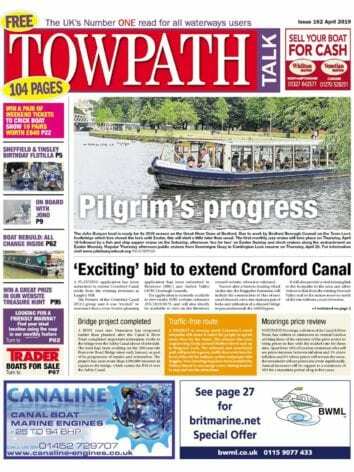 In the latest issue you’ll discover news from festivals up and down the land, and chat from north of the border as well as across the sea on the Irish waterways. As usual there’s a seasonal recipe from Anna Pettigrew, and a feature on the amazing varieties of toll houses on our canals courtesy of Phillippa Greenwood, with a selection of stunning images from Martine O’Callaghan. Anglers are also catered for, as are folk who enjoy a good waterways-oriented choice of books, or like stopping at a restaurant or hostelry to sample the local fare and observing wildlife in flight, on the water and nestling on the canal banks. As usual Cracker the boat horse chips in with his equine take on life on the canals, and we feature a host of new products to make life on board even better for boat owners. Harry Arnold continues his memoirs, there are pages packed with news and your letters, and of course a healthy selection of advertisements featuring chandleries, marinas, boat builders, product sellers and manufacturers as well as readers’ own advertisements. 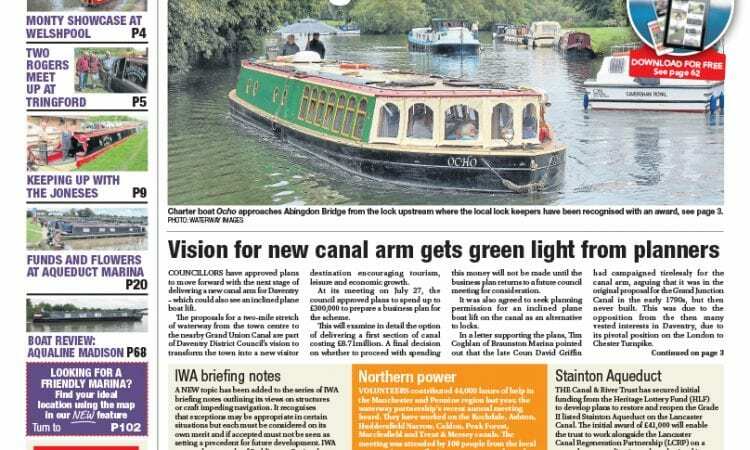 So catch up on the latest news in whatever way suits you – and of course this website will continue to offer you updates on the issues affecting the UK’s canal network. Happy reading! 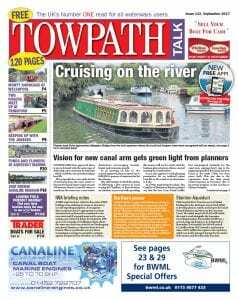 Next Post:October issue of Towpath Talk – out now!